Visitors from all around the world descend in masses upon Mont Saint-Michel each year. This medieval town on its own island, linked to the mainland of Brittany by a narrow causeway, is an amazing site. But so many visitors come all this way and then miss some of the most charming spots in northern Brittany, right around the corner. 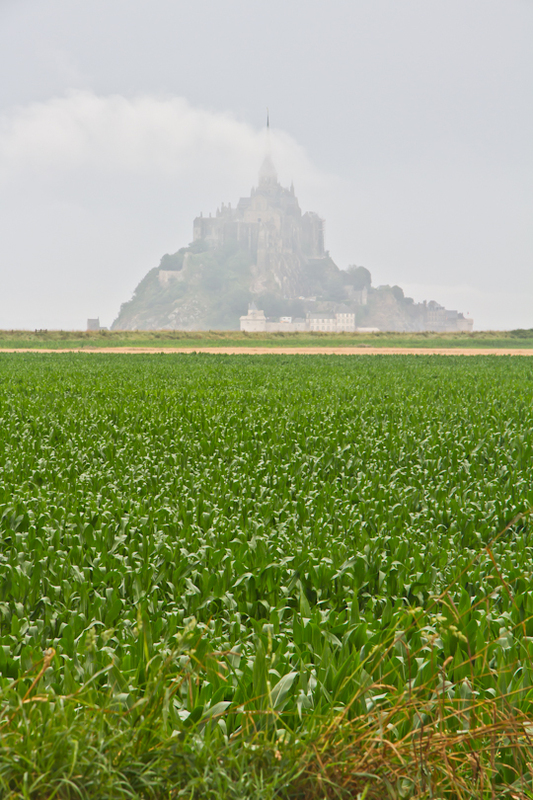 This summer, on our way from the Normandy beaches to Brittany’s Morbihan, we decided to view Le Mont Saint-Michel from the coast but not battle the crowds intra muros. After admiring the site from afar, we continued on to the small town of Saint-Suliac, then Saint-Malo, then Dinan. Saint-Suliac is one of Les Plus Beaux Villages de France and rightly so. It lies just 12 or so kilometers south of Saint-Malo and is a wonderful introduction to the charm, character and architecture of Brittany. 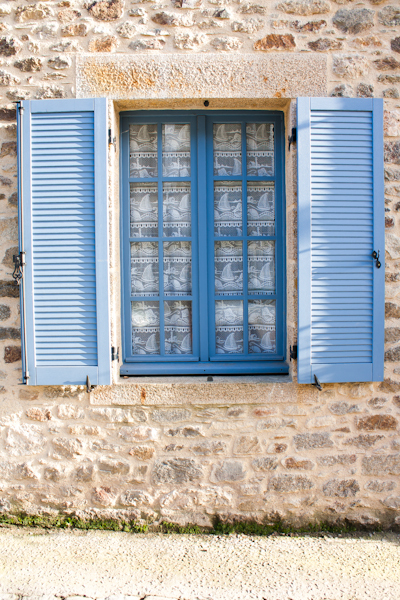 Its stone houses, white lace curtains, colorful painted shutters and incredible gardens (hydrangeas in particular) will undoubtedly win you over. You don’t need a lot of time to see this small town, but you may not want to leave! Saint-Malo easily one of my favorite small cities in France. The old town is surrounded by medieval walls; a 45-minute or so circuit by foot along the ramparts, and peering down on the activity below, is the best introduction to the place. If you hit the rampart walk around sunset, all the better! 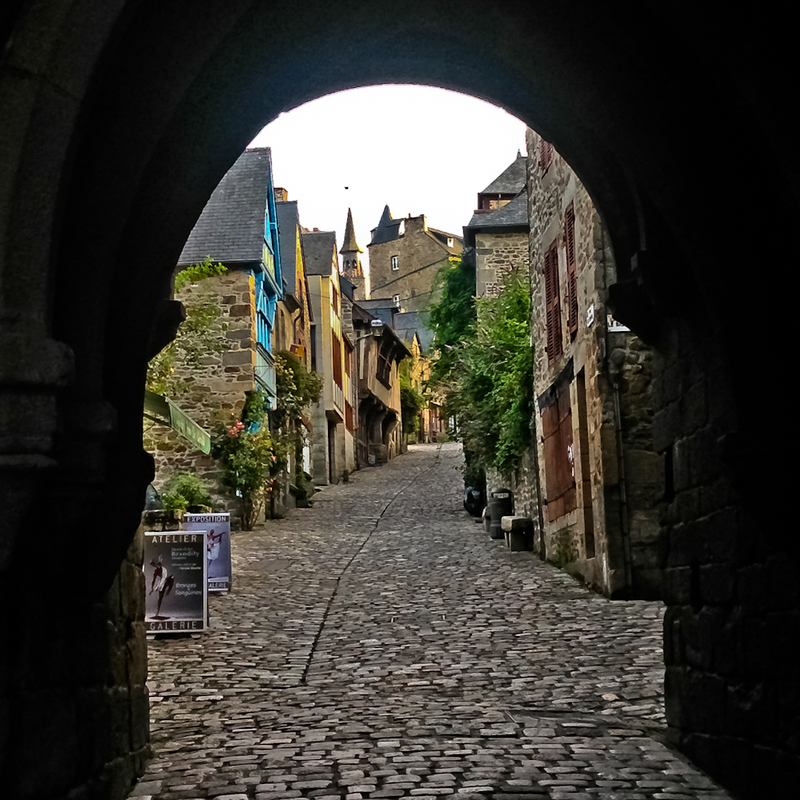 Dinan (not to be confused with Dinard) is only about a 30-minute drive south of Saint-Malo. It is one of the best displays of medieval architecture in France. Stroll down the hill to the river, stopping at boutiques and cafés along the way… perhaps save time for a stroll along the river at the bottom of the valley. Just save energy for the hike back up the hill after! A car is helpful if you are only in the area for a day or a weekend, but these stops are all possible by public transport. With a little more time, you could also visit the coast by Cap Fréhel, the medieval walled city of Fougères and Brittany American Cemetery and Memorial in Saint-James, and the seaside town of Cancale with its drastic tides…just to name a few options. 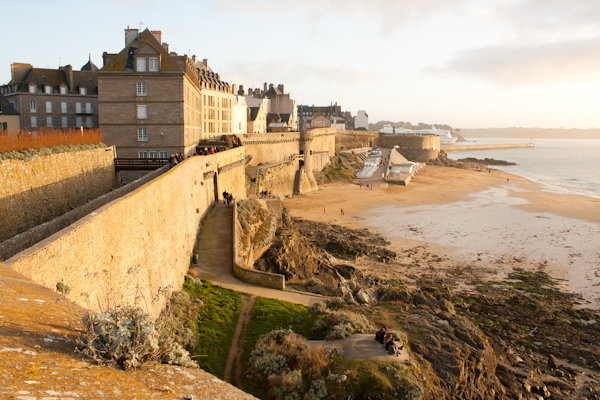 Which is your favorite spot to visit in northeastern Brittany?